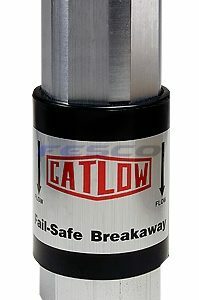 View cart “Catlow Max 1 Hi Flow Diesel Nozzle CATNM1” has been added to your cart. 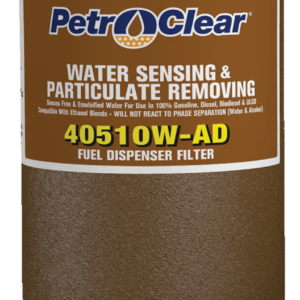 PetroClear® models 51110W and 51130W are particulate removing and water sensing spin-on filters designed for aftermarket, cost efficient particulate filtration of fuels at high volume fueling locations such as truck stops, card lock sites, and industrial and commercial applications. 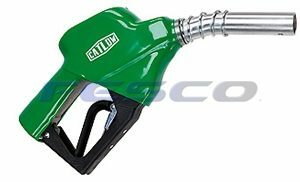 The 51110W and 51130W are designed to remove particulate and to sense both free and emulsified water from neat gasoline, Ethanol blended gasoline, diesel, Biodiesel, ULSD (Ultra Low Sulfur Diesel), Kerosene, fuel oils, lube oils and synthetic fluids. PetroClear® models 51110W and 51130W are particulate and water sensing spin-on filters. 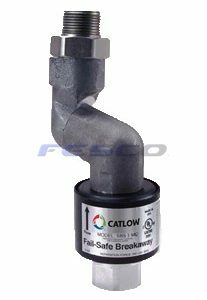 These filters are designed to sense water, both free and emulsified, and slow flow as an indicator of the presence of water in neat gasoline and diesel fuels. This filter will not sense or react to water in Ethanol blended gasoline. 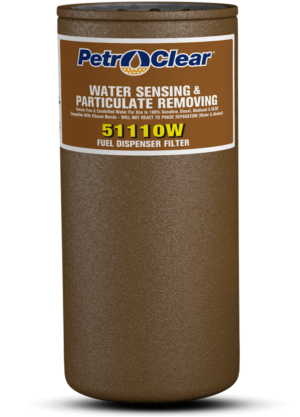 PetroClear® model 51110W filter offers efficient 10 micron (nominal) particulate removal and senses both free and emulsified water. 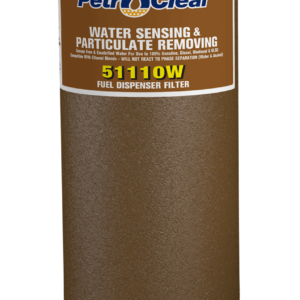 PetroClear® model 51130W filter offers efficient 30 micron (nominal) particulate removal and senses both free and emulsified water. PetroClear® models 51110W and 51130W will not detect phase separation should it occur in Ethanol blended fuels. Textured paint coating helps ensure a simple, mess-free installation and removal process. 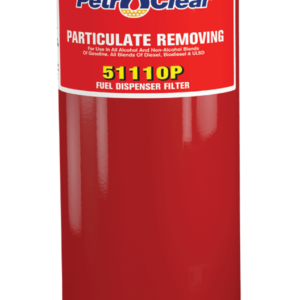 The PetroClear® model 51110W utilizes a 10 micron (nominal) cellulose super absorbent media to remove particulate and sense water in neat gasoline, Diesel fuels, Biodiesel and ULSD (Ultra Low Sulfur Diesel), kerosene, lube oils, fuel oils, and synthetic fluids. Removes particulate 10 microns (nominal) or larger. The PetroClear® model 51130W utilizes a 30 micron (nominal) cellulose super absorbent media to remove particulate and sense water in neat gasoline, Diesel fuels, Biodiesel, ULSD (Ultra Low Sulfur Diesel), kerosene, lube oils, fuel oils, and synthetic fluids. Removes particulate 30 microns (nominal) or larger. The maximum flow rate for PetroClear® models 51110W and 51130W is 40 gpm (151 lpm). Maximum operating pressure is 50 psid (3.4 bar). Collapse pressure is 150 psid (10.3 bar). Maximum operating temperature is 250°F (139°C). 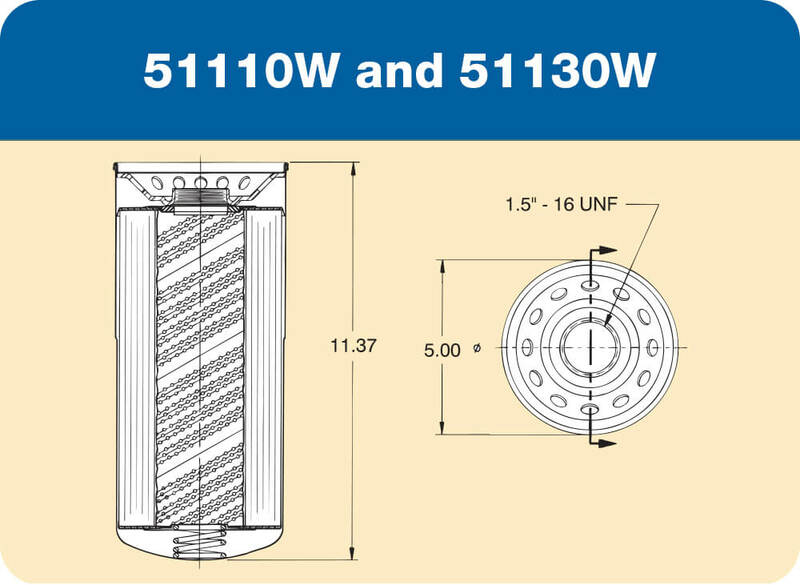 PetroClear® models 51110W and 51130W utilize a standard 1.5″-16 UNF mounting thread ref. (1″ flow) required for most spin-on filter adapters used in aftermarket and/or high-flow applications. Adapters are available for models 51110W and 51130W in aluminum. 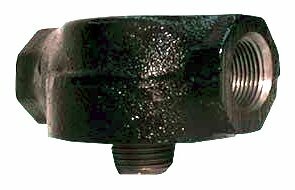 These adapters are available in both NPT and BSP inlet/ outlet threads. 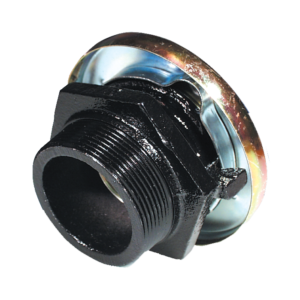 Inlet/outlet sizes are available in 1″ and 1-1/2″ single adapters. 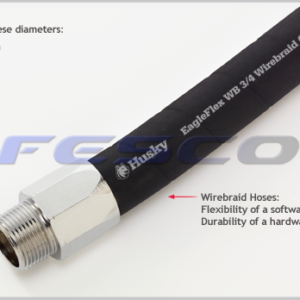 Adapters are also available in a dual style with both 1.5″ and 2″ inlet/outlet (2″– 4″ bolt SAE flange combination). 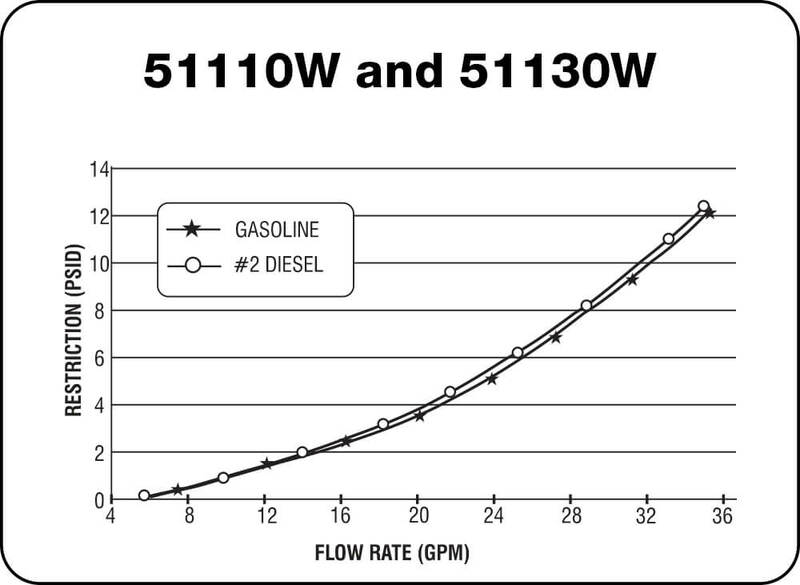 Once PetroClear® models 51110W and 51130W have absorbed 28.9 ounces (855 mil) of water from neat gasoline or diesel fuels, flow will be noticeably slow. Each filter is packaged with a separate gasket that will fit most standard brands of adapter filter mounting bases. Install gasket in adapter’s groove by placing in groove at 3 to 4 places and then smoothing gasket between those points. Lubricate with light oil. NOTE: Gasket does not mount on filter!